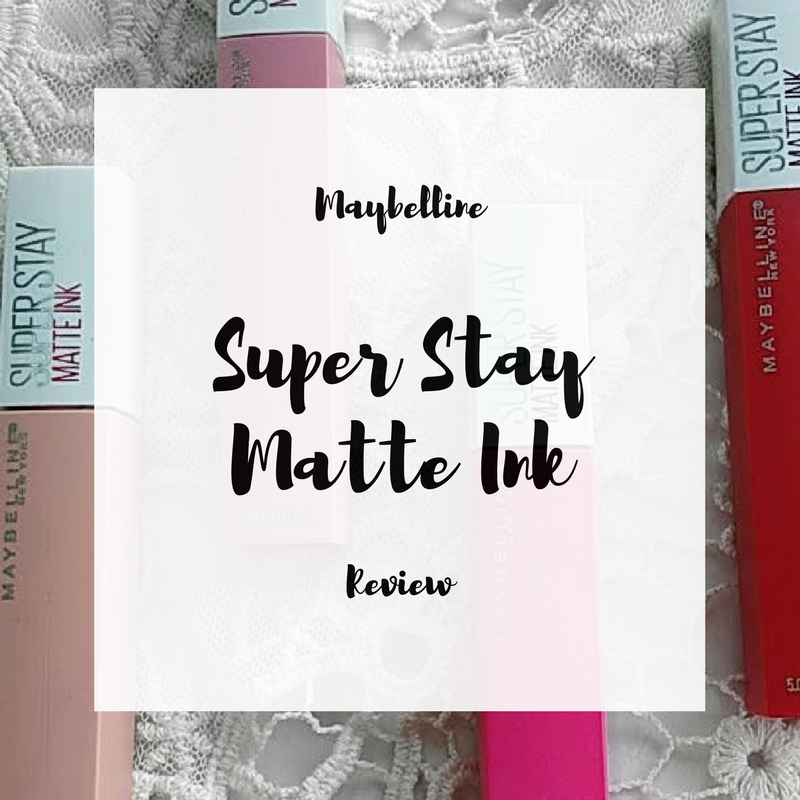 Always on the hunt for affordable products that work well, I ran into the Maybelline Super Stay Matte Ink liquid lipsticks at CVS one day and I decided to give them a try. I was immediately drawn to the packaging, which shows the pretty shades of the lipstick, and I was dying to have those colors all over my lips. These were released in the spring of this year. These lipsticks come in 10 shades including; nudes, pinks, reds, and deeper shades and boast up to 16 hours of wear. Each 0.17 oz lipstick costs around $10, depending on where you buy it, which is a total steal. Sometimes you find a product that works so well but when you try it out in another color, it doesn’t. 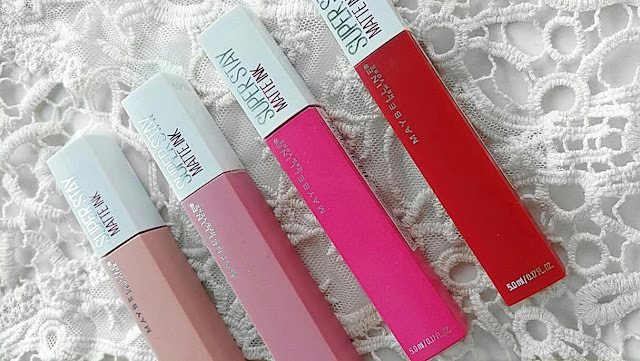 I wanted to make sure I’d be giving a good review to ya’ll, so I tested out 4 of the Maybelline Super Stay Matte Ink liquid lipsticks. I picked up 4 different shades, 2 lighter shades and 2 bolder shades so I could get a better idea of how well this product works. 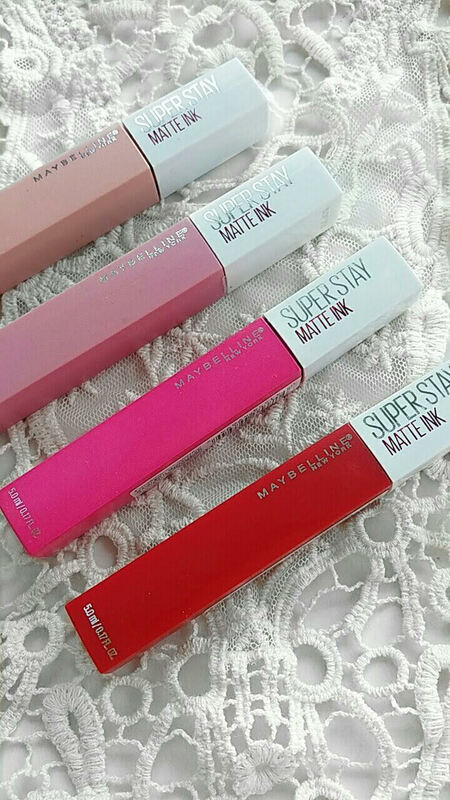 The Maybelline Super Stay Matte Ink liquid lipsticks all worked really well regardless of what shade I used. The only difference between shades that I found were how much they stained my lips, but we’ll get to that in a second. Each shade i used was highly pigmented and the consistency was the same throughout. 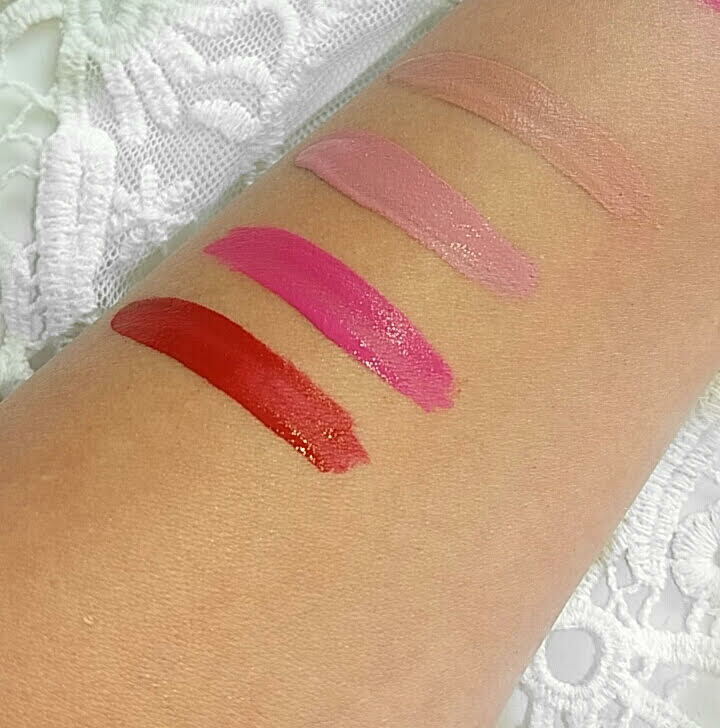 These lipsticks, when first applied are very sticky and thick, but they quickly dry down to a perfect matte finish. It took me 2 coats to get my desired color from each lipstick, but when applied in coats, it still goes on evenly. The colors are all really pigmented and once dry, they don’t move or transfer. They also last all day long, with no need to reapply and they aren’t very drying either. The only down side I’ve found from using the Maybelline Super Stay Matte Ink liquid lipsticks is how badly they stain my lips, and arms, and whatever else they get on. It takes a lot of makeup remover to get this product off, which I guess makes sense given the name, but it’s also a bit of an inconvenience. If you accidentally get some above or below your lip, or if you need to remove it with a full face of makeup on, it can be a bit of a struggle. Maybelline does however, sell a remover for this product specifically, but I passed on it. I have to say though, I’m very impressed with this product! For the price you’re paying, ($10), you’re getting a lipstick that is comparable to some high end ones. The pigment is great, it lasts all day, it doesn’t feel drying on your lips, and it doesn’t move around. This might actually be my new favorite lipstick from the drugstore! If you’re looking for an affordable, long-lasting, matte lipstick I recommend giving the Maybelline Super Stay Matte Ink lipsticks a try! You won’t be disappointed! Have you given these liquid lipsticks a try? What did you think of them? Leave me a comment, I’d love to hear! They're great! 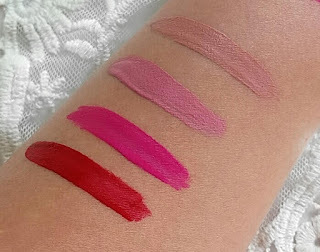 They're not drying either like other matte lipsticks!